UK SLot Games (UKSlotGames.com) is a brand new online slots site with an incredible selection of over 500 mobile, tablet and laptop slot games with a new player offer of up to 500 Free Spins on First Deposit. All New Players are invited to create a new account and then make a minimum £10 deposit to receive a free spin of the famous Mega Reel. This reel can award players with up to 500 Free Spins on games including Rainbow Riches, Fluffy Favourites and Starburst, players can also win Amazon vouchers and other physical prizes. 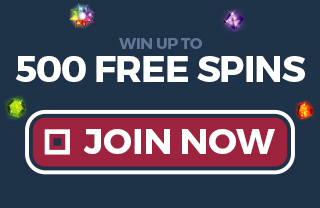 This first deposit offer is for all New UKSlotGames.com Players - So take advantage of this exceptionally generous offer quickly before it's gone! Many casinos will offer a few few spins on First Deposit, but very few offer the chance to win up to 500 Free Spins on games such as Fluffy Favourites, Starburst and Rainbow Riches. So what are you waiting for? Spin the mega reel and enjoy the very best free online slots no deposit offer in the UK right now! Centurion is a popular UK Slot Game by Inspired Gaming with a 95% RTP and Road to Rome Bonus + Free Spins. Diamond Strike is a relatively new UK Online slot by Pragmatic Play. It has a 96.4% RTP with Jackpot Bonus. Irish Luck is a Eyecon slot game with Free Spins and a 95% Return to Player (RTP%). This slot has 25 pay lines. Leprechaun Song is a Pragmatic Play online slot with Coin Collector bonus and an RTP of 96.4%. Fluffy Favourites is an all-time, award winning slot game by Eyecon with Toy Box bonus and 95.3% RTP. UK Slot Games has over 600 real money UK slots including Fluffy Favourites, Starburst, Diamond Strike, Fluffy Favourites Fairground, Rainbow Riches, 99 Time, Rainbow Riches Pick N Mix, Hold the Safe, Irish Luck, Leprechaun Song, Fluffy Too, Bonanza, White Wizard, 3 Genie Wishes, Shamans Dream, Wolf Gold, Claws vs Paws, Enchanted Prince and many many more.